Today telling us her Top 13 books is Author and friend Michelle Congdon. 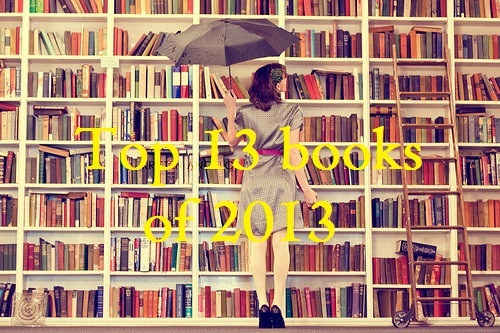 Are any of her books your top book of 2013? Hello!!!! I hope everyone is enjoying their Christmas/New Year holidays! I love this time of the year; it’s full of love, giving, and don’t forget about the food and the partying. Another thing I like to do during this time is reflect on my year gone by. What I did, where I traveled, what I achieved, what movies I enjoyed, the books I read and fell in love with… Which brings me to the next part. When Zoe first asked me if I’d like to share my 13 Best Books with you all I was like WTH?! How on earth am I ever going to choose just 13 books?? I fell in love with the cover, and then I fell in love with the story. Ten Tiny Breaths was a very emotional, but beautiful story about a young woman’s struggle to overcome tragedy. My heart ached for poor Kacey and then cheered when she was finally able to have her happy ending. I LOVED Pax. Sure, he was a huge A-hole, but who would honestly be stable after going through what he did? Mila was a little on the goody-two-shoes end for me, but she was just the perfect girl for our dear Pax to fall for. I first saw book one (Captured) on Smashwords and randomly checked it out. I was halfway through it by the time I bought the next book and then I pretty much internet stalked Erica to keep up to date with the follow up books. Salvation is the last book and oh lordy it ended just perfect. Here is another book that had me reaching for tissues. This one had me going through so many emotions and left me wondering how I would feel if I were in Sky’s position. That is one difference between a book I like and a book I love. This is by far my favorite book from Ms. Abbi (followed very closely by the Vincent Boys). It was the book I chose when she came to visit Sydney and I lined up to get her autograph. Fan girl moment!!! Is there a real Cage York somewhere in this world??? I’m beginning to think I have a serious issue and love books that rip my heart to pieces. This was a beautiful story. I shed some tears and then tried to cover them up with a smile, and then forced myself not to write a long letter to the fabulous Jasinda asking how do I stop the emotional void inside of me now that I’d finished the book. This one is a tough one. I’m still not sure how I feel about books that leave the reader guessing at the end. They don’t always have to have a happy ending but I do like all my questions answered. With that being said, I have this book on my best reads list because it left a big impression (more like scared the bejeezus out of me!) I read it with the light on and made sure my housemate was home, just incase those evil fairies decided to come looking. It was dark, horrifying and unexpected, earning it a spot on my list. Loved, loved, LOVED this series! (Much more than the Mortal Instruments) And this book was the perfect closing chapter. I also have Will Herondale on my list of book husbands, so of course this book was going to make the cut. I found myself crying at the end. I didn’t want it to end and especially the way that it did. My friend had to console me and explain that everyone got a happy ending in a way. But… I think I need tissues writing this. Oh, Cam… Do I need to go into details? I laughed so much through this book but also felt so much for the characters as the issues in this story were very real. Jennifer Armentrout is a brilliant author. I love her work. Similar to Charades, but the roles are reversed. It was refreshing to see a guy admitting that he needs a girls help. Drew, poor Drew. One Week Girlfriend deals with some sensitive issues that had me feeling a whole heap of different emotions. When I get that involved in a book, it deserves to be on my best reads. Ms. Day is, to this day, one of my favorite authors. She writes some amazing stuff! I’ve read many of her books. I want Gideon and love his and Evie’s relationship. As messed up as it is, I’m glad they have each other. I wasn’t sure how I felt finding out that it ended as a cliffhanger. But then I got over it because at the end of the day there is going to be MORE Gideon Cross. Woo hoo!! !